Countries Visited: South Africa, Namibia, Botswana, Zimbabwe & Zambia. After a short stop to view Table Mountain we drive north to the Cederberg region. In the afternoon (weather permitting) we go on a guided walk to see Bushmen paintings and learn about the native fauna and flora. Today we travel to the Gariep/Orange River. We spend the night under the stars and sit at the campfire getting to know each another. You can choose between a morning on the riverbank or the half day canoe on the river. After lunch we travel north to the Fish River Canyon. Optional Activities: Orange/Gariep River Half Day Canoe Adventure. From the Fish River Canyon we continue into the remote hinterland. We arrive at camp in the afternoon and enjoy a short hike at Sesriem Canyon. We wake before dawn so we can hike up Dune 45 and watch the sunrise. After breakfast we join a local expert on a guided tour explaining the desert ecosystem. Today we cross the Tropic of Capricorn (where we stop for a photo) on our way to Namibia's Atlantic coast. 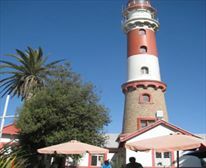 In Swakopmund you will be briefed on the optional activities available here. Day 7 is free for you to explore the town or try one of the many adventure activities. 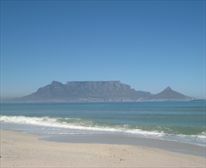 Optional Activities: Quadbiking, Sandboarding, Sky Diving, Dolphin Cruise, Scenic Flights, Fishing etc. We leave all the trappings of modern life behind us and drive inland to the mysterious Spitzkoppe. Tonight we camp in the wild. After some early morning exploration we continue inland and drive towards Kamanjab. 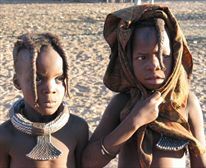 The Himba are a pastoral people and predominantly breed cattle or goats, they are easily recognisable by their unique style of dress. 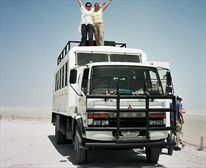 Etosha NP is the venue for some of the most unique game viewing experiences in Africa. We will go on various game drives, and spend our evenings at the abundant water holes for some excellent game photography. After an early morning game drive we set off towards Windhoek in the centre of Namibia. On the way we stop at a popular craft market. In the afternoon we go on a short city tour. Optional Activities: Dinner out at Joe's Beer House. It is a scenic drive to the Buitepos border, where we cross into Botswana. Once at camp we will meet with a local Bushmen community and experience some traditional Tribal Dancing. Another early day! Our journey takes us from Ghanzi towards Maun. 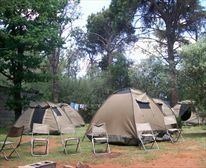 We spend the night here and prepare for our two night bush-camping experience. Your guides will provide you with a briefing about the next few days' activities and the community run tourism operation. From here we will enter the Delta using local transport. 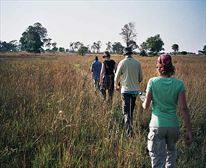 If the water level allows we will take a mokoro (traditional canoe) trip a well as a nature walk with the local people. 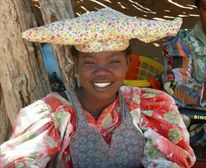 We leave the Delta behind us and travel east to Gweta, which is located halfway between Maun and Nata, near the Makgadikgadi Pans NP. 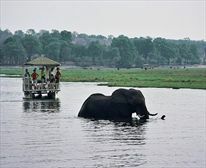 When we arrive at Kasane we set up camp on the bank of the Chobe River. The afternoon is spent game viewing from a boat in the Chobe NP. This is an excellent opportunity to view Africa's spectacular wildlife. You will have the chance to experience an early morning game drive the following day. 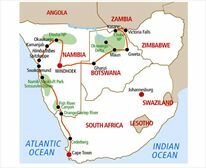 On arrival in Victoria Falls we have time to plan the next day's adventure activities before we visit the spectacular Victoria Falls NP and experience the thundering of the mighty Zambezi. The popular optional sunset cruise includes dinner and drinks. Most people will spend the day White Water Rafting, a not -to-be-missed experience of a lifetime! Vic Falls offers many exciting alternatives. Optional Activities: White Water Rafting, Bungee Jumping, Elephant Excursion, Dinner out. Rate per twin share accommodation. Rate subject to change. Single supplement R550.